I have to be honest. I have a tendency to turn up my nose at anything faux. I would always rather have the natural - the real thing. I favor all things genuine. (Did I ever mention that I used to pretend I ground my own grain to make those microwaveable chimichangas that sustained me through my childhood? So odd...I know. That's just my nerdy interpretation of fun. I also organized my crayon box by colors...frequently...) Given this information, it should not come as a surprise that I have often wondered to myself..."How long does my hair need to be before I could style my own Princess Leia buns?" With age, I have come to realize that, sometimes, I have to cater to more realistic expectations. Yes, please! 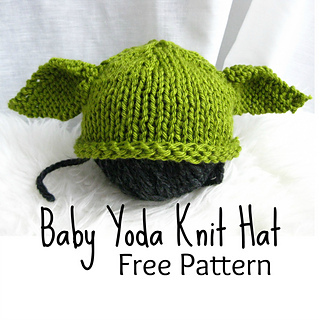 This baby Yoda hat knitting pattern looks pretty simple, and I am nearly certain it will make for a quick knit. 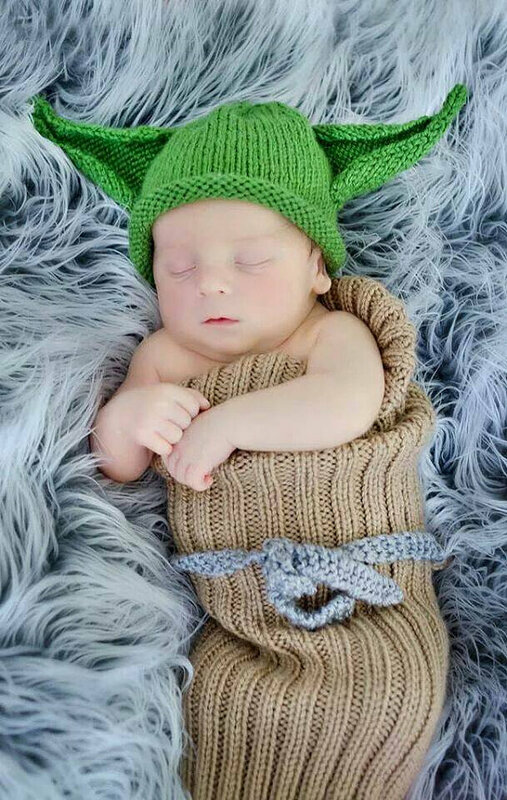 Unfortunately, I will not be giving my Star Wars geek husband any more babies on which he can grace this precious hat (Don't blame me...he put his foot down after that last horrible pregnancy!). Regardless, there is never a shortage of little babies to love, and I tend to be a magnet...because...I LOVE BABIES! So...the only question is, which one of you precious newbie mommies-to-be is the geekiest Star Wars fan? 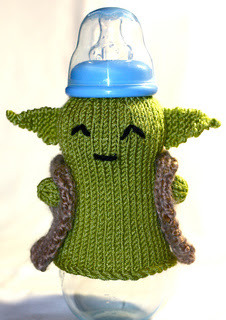 'Cause I'm gonna have to knit this one for some little Yoda cutie ASAP! 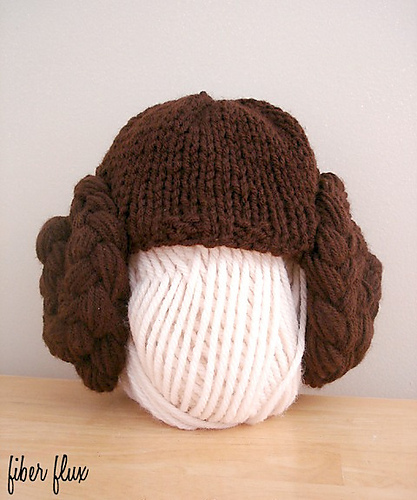 So, here is another example of the mind blowing talent and creativity of knitters. Seriously?! 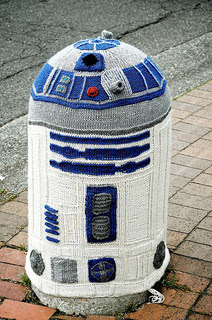 I can't believe this Star Wars R2D2 Yarn Bomb Sarah Rudder has created and shared. I think it has to be one of the best yarn bomb's ever. I wish I could see it in person. 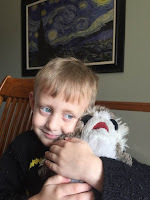 I love how other knitters on Ravelry have turned the R2D2 knitting pattern into super-sized stuffies. I made some fun things when my girls were little, like a puppet theater and a super stuffed cushion. I haven't ever taken the time to make anything crazy fun for the boys, and I KNOW they would love this. I just might have to take it on. #Mindblown. Are you kidding me?! 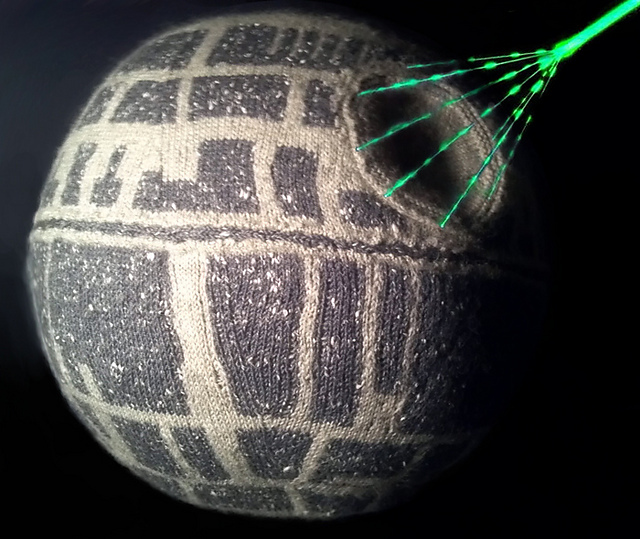 This death star knitting pattern is both AWESOME and free. 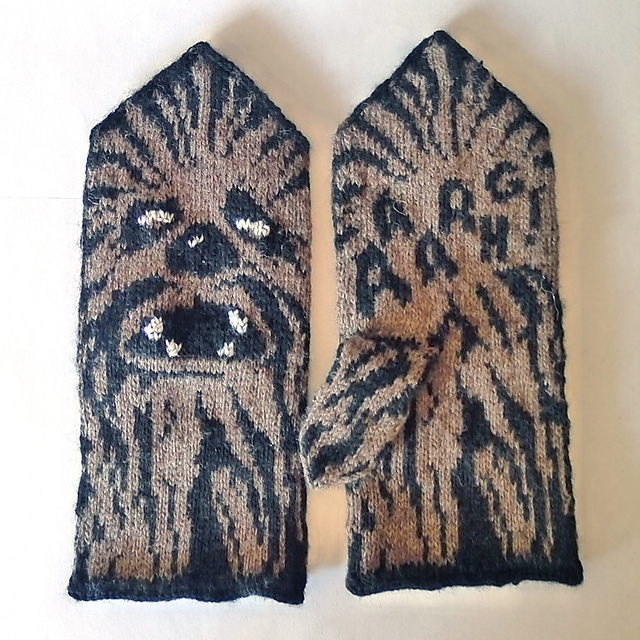 I am starting to see that when star wars geek meets knitting geek we get some epic galactic results (pun intended). 😉 Looks like I could be knitting star wars indefinitely. 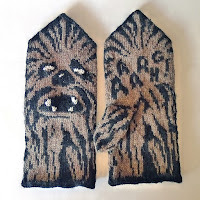 My dear husband thanks you, knitting designing star wars fans. This Star Wars Rebel knitting pattern looks masculine enough to knit for my husband, I would say. (Though between the two of us, I tend to be more of a rebel. He is sooooooo sweet and humble! 💕 ...perhaps if the cause had something to do with me. He does get a bit fiery, in that case. But don't tell him I told you. 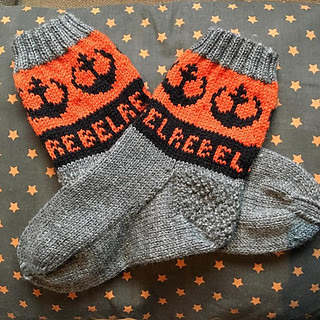 😉) I think a nice pair of Star Wars Rebel socks would keep his toes warm, even on the coldest of Missouri winter nights. Just in case, no? 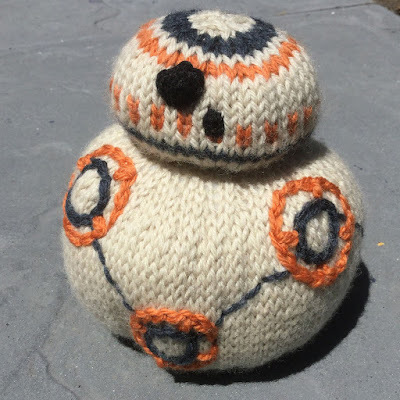 Here is another BB-8 knitting pattern that requires less finishing. 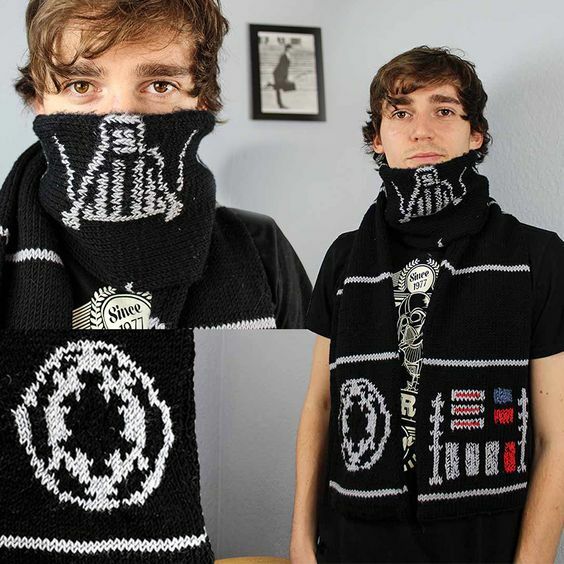 I am loving the Darth Vader mask portion in this Star Wars Scarf. It sure makes for a fun wrap around on a cold winter day...which I happen to be experiencing today. #FebruaryIceStorm2018. Between flu season and winter weather, we can't seem to get in a day of school around here. I guess that leaves more time for knitting cozy little bad guy scarves. I used to make felted slippers by Bev Galeskas. 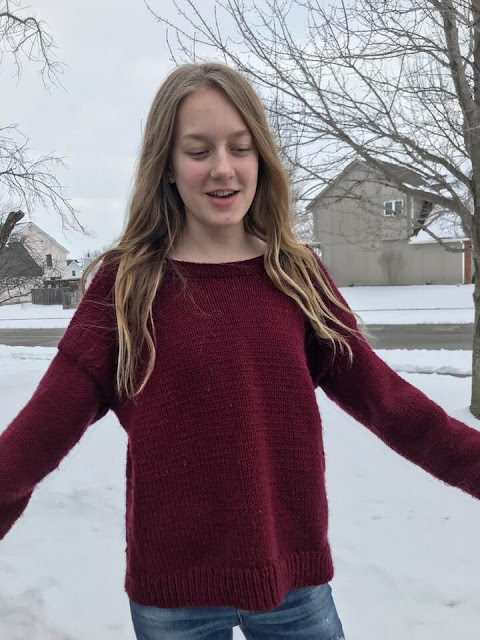 It was one of the first knitting patterns I ever purchased. I was on my husband's family vacation to Minnesota and came across the sweetest little yarn shop. The children's version of the felted slippers was for sale with a small sample on display, and I fell in love. Then, we got an "energy efficient" washer, which never did felt well, and my felting days became a lot less enjoyable. I never really picked it up again. However, for those of you who do enjoy felted projects (and also Star Wars), this light saber looks like a great knitting pattern to try. 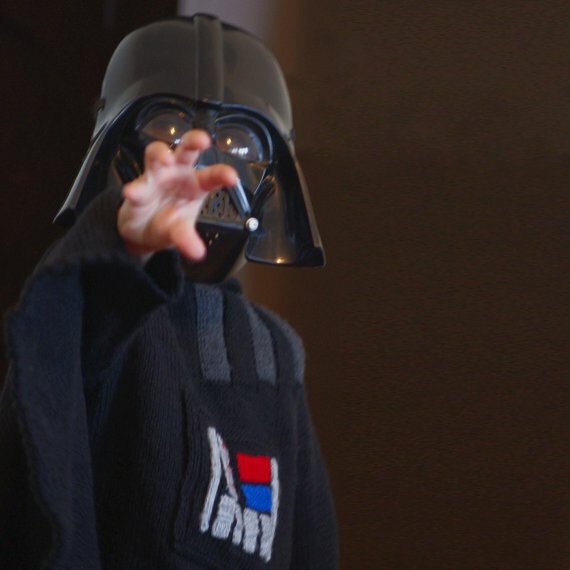 It would be especially good for young Star Wars fans with the stuffing-only core.